Android users expect high-quality apps. App quality directly influences the long-term success of your app—in terms of installs, user rating and reviews, engagement, and user retention. This page helps you assess the core aspects of quality in your app, through a compact set of quality criteria and associated tests. All Android apps should meet these criteria. Before publishing your apps, test them against these criteria to ensure that they function well on many devices, meets Android standards for navigation and design, and are prepared for promotional opportunities in the Google Play store. 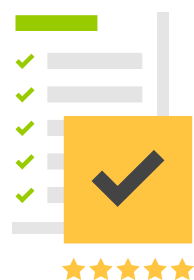 Your testing will go well beyond what's described here—the purpose of this document is to specify the essential quality characteristics all apps should display, so that you can cover them in your test plans. If you're creating apps for other Android devices, such as tablets or TV, there are additional quality guidelines you should consider. These criteria ensure that your app provides standard Android visual design and interaction patterns where appropriate, for a consistent and intuitive user experience. The app does not redefine the expected function of a system icon (such as the Back button). The app does not replace a system icon with a completely different icon if it triggers the standard UI behavior. If the app provides a customized version of a standard system icon, the icon strongly resembles the system icon and triggers the standard system behavior. The app does not redefine or misuse Android UI patterns, such that icons or behaviors could be misleading or confusing to users. The app supports standard system Back button navigation and does not make use of any custom, on-screen "Back button" prompts. All dialogs are dismissible using the Back button. Multiple notifications are stacked into a single notification object, where possible. Notifications do not contain advertising or content unrelated to the core function of the app, unless the user has opted in. These criteria ensure that your app provides the expected functional behavior, with the appropriate level of permissions. The app does not request permissions to access sensitive data (such as Contacts or the System Log) or services that can cost the user money (such as the Dialer or SMS), unless related to a core capability of the app. The app functions normally when installed on SD card (if supported by app). Supporting installation to SD card is recommended for most large apps (10MB+). See the App Install Location developer guide for information about which types of apps should support installation to SD card. The app supports both landscape and portrait orientations (if possible). Orientations expose largely the same features and actions and preserve functional parity. Minor changes in content or views are acceptable. The app uses the whole screen in both orientations and does not letterbox to account for orientation changes. Minor letterboxing to compensate for small variations in screen geometry is acceptable. The app correctly handles rapid transitions between display orientations without rendering problems. The app should not leave any services running when the app is in the background, unless related to a core capability of the app. For example, the app should not leave services running to maintain a network connection for notifications, to maintain a Bluetooth connection, or to keep the GPS powered-on. The app correctly preserves and restores user or app state. The app preserves user or app state when leaving the foreground and prevents accidental data loss due to back-navigation and other state changes. When returning to the foreground, the app must restore the preserved state and any significant stateful transaction that was pending, such as changes to editable fields, game progress, menus, videos, and other sections of the app or game. These criteria ensure that apps provide the compatibility, performance, stability, and responsiveness expected by users. The app displays graphics, text, images, and other UI elements without noticeable distortion, blurring, or pixelation. The app provides high-quality graphics for all targeted screen sizes and form factors. The app displays text and text blocks in an acceptable manner. Composition is acceptable in all supported form factors. These criteria ensure that apps handle user data and personal information safely. In addition to this checklist, applications published on the Google Play Store must also follow the User Data policies to protect users' privacy. All intents and broadcasts follow secure best practices. Intents are explicit if the destination application is known. Intents enforce and use appropriate permissions. Intents that contain data and payload are verified before use. Only application components that share data with other apps, or components that should be invoked by other apps, are exported. This includes activities, services, broadcast receivers, and especially content providers. Always set the android:exported attribute explicitly, regardless of whether or not you export any of your application's components. SC-N2 Application declares a network security configuration. SC-N3 If the application uses Google Play services, the security provider is initialized at application startup. Libraries SC-U1 All libraries, SDKs, and dependencies are up to date. On Android M and above, HTML message channels can be used instead. Execution SC-E1 The app does not dynamically load code from outside the app's APK. Cryptography SC-C1 The app uses strong, platform-provided cryptographic algorithms and does not implement custom algorithms. SC-C2 The app uses a properly secure random number generator, in particular to initialize cryptographic keys. These criteria ensure that your apps are ready to publish on Google Play. The app maturity level is set appropriately, based on the Content Rating Guidelines. The app supports power management features in Android 6.0+ (Doze and App Standby) properly. In the case where core functionality is disrupted by power management, only qualified apps may request an exemption. See Support for other use cases in Doze and App Standby. GP-D3 The app’s screenshots or videos do not represent the content and experience of your app in a misleading way. To assess the quality of your app, you need to set up a suitable hardware or emulator environment for testing. The ideal test environment would include a small number of actual hardware devices that represent key form factors and hardware/software combinations currently available to consumers. It's not necessary to test on every device that's on the market — rather, you should focus on a small number of representative devices, even using one or two devices per form factor. If you are not able to obtain actual hardware devices for testing, you should set up emulated devices (AVDs) to represent the most common form factors and hardware/software combinations. To go beyond basic testing, you can add more devices, more form factors, or new hardware/software combinations to your test environment. You can also increase the number or complexity of tests and quality criteria. These test procedures help you discover various types of quality issues in your app. You can combine the tests or integrate groups of tests together in your own test plans. See the sections above for references that associate criteria with these test procedures. While exercising the app, introduce transient changes in network connectivity, battery function, GPS or location availability, system load, and so on. CR-1 From each app screen, press the device's Home key, then re-launch the app from the All Apps screen. CR-2 From each app screen, switch to another running app and then return to the app under test using the Recents app switcher. CR-3 From each app screen (and dialogs), press the Back button. CR-5 From each app screen, rotate the device between landscape and portrait orientation at least three times. CR-6 Switch to another app to send the test app into the background. Go to Settings and check whether the test app has any services running while in the background. In Android 4.0 and higher, go to the Apps screen and find the app in the "Running" tab. CR-7 Press the power button to put the device to sleep, then press the power button again to wake the screen. CR-8 Set the device to lock when the power button is pressed. Press the power button to put the device to sleep, then press the power button again to wake the screen, then unlock the device. CR-9 For devices that have slide-out keyboards, slide the keyboard in and out at least once. For devices that have keyboard docks, attach the device to the keyboard dock. CR-10 For devices that have an external display port, plug-in the external display. CR-11 Trigger and observe in the notifications drawer all types of notifications that the app can display. Expand notifications where applicable (Android 4.1 and higher), and tap all actions offered. Repeat Core Suite with the app installed to a device’s SD card (if supported by app). To move the app to SD card, you can use Settings > App Info > Move to SD Card. Repeat Core Suite with hardware acceleration enabled. To force-enable hardware acceleration (where supported by device), add hardware-accelerated="true" to the <application> in the app manifest and recompile. Performance and Stability SP-1 Review the Android manifest file and build configuration to ensure that the application is built against the latest available SDK (targetSdk and compileSdk). Repeat Core Suite with StrictMode profiling enabled as described below. Pay close attention to garbage collection and its impact on the user experience. Repeat Core Suite across Doze and App Standby cycles. Pay close attention to alarms, timers, notifications, syncs, and so on. See Testing with Doze and App Standby for requirements and guidelines. Security SC-1 Review all data stored in external storage. SC-2 Review how data loaded from external storage is handled and processed. SC-3 Review all content providers defined in the Android manifest file for appropriate protectionLevel. SC-4 Review all permissions that your app requires, in the manifest file, at runtime and in the app settings (Settings > App Info) on the device. SC-5 Review all application components defined in the Android manifest file for the appropriate export state. The export property must be set explicitly for all components. SC-6 Review the app's Network Security configuration, ensuring that no lint checks on the configuration fail. SC-8 For each WebView, attempt to navigate to sites and content that are outside of your control. SC-9 Declare a Network Security Configuration that disables cleartext traffic then execute the app. SC-10 Run the application and exercise all core functionality, while observing the device log. No private user information should be logged. Google Play GP-1 Sign into the Google Play Developer Console to review your developer profile, app description, screenshots, feature graphic, content rating and user feedback. GP-2 Download your feature graphic and screenshots and scale them down to match the display sizes on the devices and form factors you are targeting. GP-3 Review all graphical assets, media, text, code libraries, and other content packaged in the app or expansion file download. GP-4 Review Support for other use cases in Doze and App Standby. Payments GP-4 Navigate to all screens of your app and enter all in-app purchase flows. For performance testing, we recommend enabling StrictMode in your app and using it to catch operations on the main thread and other threads that could affect performance, network accesses, file reads/writes, and so on. You can set up a monitoring policy per thread using StrictMode.ThreadPolicy.Builder and enable all supported monitoring in the ThreadPolicy using detectAll(). Make sure to enable visual notification of policy violations for the ThreadPolicy using penaltyFlashScreen().